This class will build upon the concepts taught in Tap Dance Fundamanetal course. Dress Code: Girls: Black Leotard, Black Leggings or Fitted Shorts, Black lace up Tap Shoes. Boys: White T-Shirt, Black Sweat Pants and Black lace up Tap Shoes. 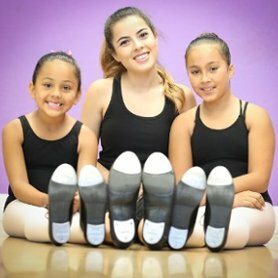 Tap Dance students save 10% when they also enroll in Girls Gymnastics, Boys Gymnastics, Trampoline & Tumbling, Tae Kwon Do, or other Dance Classes.